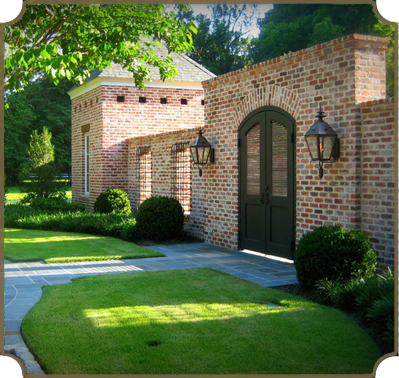 Wantland Ink Landscape Architecture is a boutique design studio based in Nashville, Tennessee. Practicing throughout the South, the firm provides creative, quality site design, land planning, and construction documentation for discerning clientele. We entertain select civic and institutional commissions, while maintaining a focus on private homes and properties. We endeavor to apply the timeless fundamentals of proportion and scale, with quality and attention to detail, to realize the proper contextual relationships of land to architecture. We also provide site evaluation, analysis, and selection services. A licensed landscape architect with over 20 years' experience, principal Isaac Wantland is involved in every project, from inception to completion. By utilizing clear communication and possessing a positive outlook, Isaac enables and encourages a synergetic atmosphere amongst clients and allied professionals. Wantland Ink respects professional boundaries; as such, architects and interior designers especially enjoy the firm's creative input and collaborative approach. The firm's mastery of grading and drainage allows the firm to take a lead role in comprehensive site planning as those elements are so critical to the function and aesthetic of a site. Isaac has lent his expertise to thousands of acres of domestic and international properties. Having also travelled through the hamlets, towns, and cities of several European countries, he draws on a breadth of knowledge and experience to formulate comprehensive master plans as well as nuanced details. Isaac is a member of The Institute of Classical Architecture and Art and draws inspiration from the historic practices of Frederick Law Olmsted, Fletcher Steele, Sir Edwin Lutyens and Gertrude Jekyll. Isaac is also CLARB certified and currently licensed in Tennessee and South Carolina. Isaac lives in a modest Williamsburg style home with his wife, Jennifer, and their three children. When not pursuing his passion of well-thought, time-crafted work, he enjoys art, reading, and riding his Triumph motorcycle and always has a home improvement project underway.